There is a programme on BBC3 tonight that the little anthropologist inside my head finds fascinating. 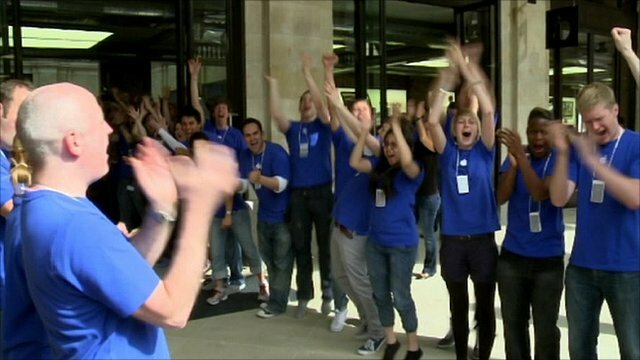 “BBC Three looks into ‘evangelical frenzy’ over Apple“. I can’t work out whether this is tongue-in-cheek or whether the comparison is a startling revelation about the inner desire within society for religiosity. Have Apple tapped into a marketing tool that the church has long forgotten – how to give a religious experience? Check it out at 9pm on BBC3. The ‘Cult of Mac’ is not what it was – its now a full scale church. I do kind of miss the days when we were fringe computer nutters – but as Robb says – they do understand the trick of making people feel they are part of a movement changing the human experience for the better.